TOMAR'S KA-BAR KNIVES-What's On Sale While They Last. TOMAR'S KA-BAR KNIVES-What's On Sale While They Last. Items are in limited supply, get them while they last. Weight: 0.35 Overall length: 8"
Weight: 0.20 Overall length: 6 7/8"
same quality and craftsmanship as years gone by. 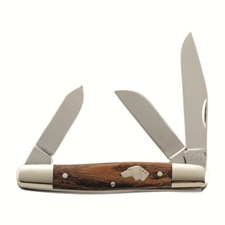 Weight: 0.10 Overall length: 5 1/2"
Knife comes with plastic sheath, arm straps and pocket clip.